I can’t recall that we’ve met before. I’m Rose Sweeney, and I work at Sullivan’s Pub alongside the owner, Maura Donovan. Me da works here too, though “works” might be the wrong word for what he does around here. I’ve just turned seventeen. Yeh, I know—that’s young to be working behind a bar, most people think. But this is Ireland, and there’s laws that say someone my age can work here so long as they’re related to the owner. Me da and me, we’re related to Old Mick Sullivan, who passed away a year or more ago. I couldn’t tell yeh exactly how we connect, but most people in West Cork do somehow. Old Mick left the pub to Maura Donovan, a year ago, and she was gobsmacked when she learned of it. Seems her gran and Old Mick were also related somehow, and Mick had no children of his own to leave the place to. Maura’d never run a business of her own before, so she’s been learnin’ fer the past year. She’s been good to me, and a bit harder on me da, which is as it should be, because he’s lazy. Things are workin’ out pretty well now. 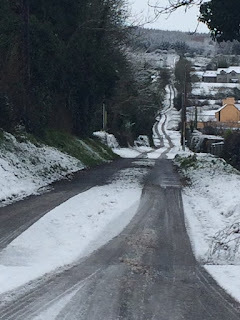 It was a surprise to us all when a big storm hit the coast here in West Cork, bringin’ a lot of snow with it, and took out our power. Worse, no one could get home. We may be on a main road, but most people live up in the hills, and the roads are narrow and not always well paved. Cork has few snowplows, since it snows so rarely here. So we spent the night at the pub, with some interesting entertainment—but more on that later. I was happy because I got to make the supper, usin' whatever we could cobble together. I love to cook, not that I get much of a chance, seein’ as it’s only Da and me at home. But at Sullivan’s there’s a kitchen in back, but nobody’s used it fer a long time, so we had to do some cleaning, and then make sure it worked. We got the stove running—those old ones were made to last!—and we used the fireplace as well, to make soup and to toast some bread. And of course the taps at the bar kept flowing. In Ireland we're great ones fer the talkin'. Funny—it was a special evenin’ fer a lot of reasons. Like we kinda solved an old murder. Available for pre-order at Amazon and Barnes and Noble. Sounds like an incredible story. Looking forward to reading. And in the best Irish tradition, they come up with a solution while sitting around in a pub talking. What a terrific premise. I think this is another book I really need....Like I need another book. 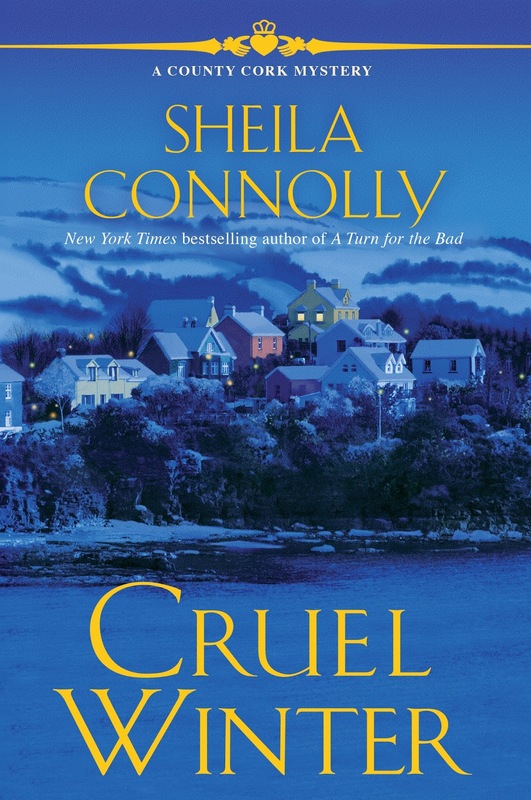 I like the idea that Ms Connolly has used fiction to introduce us to a true life murder. Thanks for this introduction. Weirdly enough, on my most recent trip there I spoke with someone (who happens to be a mystery writer, when he's not an antique dealer, and I've been chatting with him for years) who knows the real accused. Small world, isn't it? But that's typical there. This is truly fascinating! 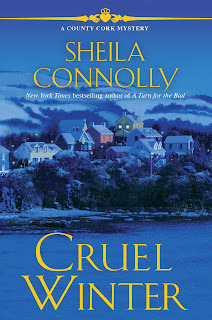 It will be on my ever-growing tbr list! Best of luck. I'm ready to start the 3rd book in this series. I've enjoyed each one and always look forward to the next release.